As summer is finally here–it is here right? Yellow Jacket calls are soon to be on the horizon. I get lots of calls for different kinds of bees and wasps throughout the year, but the summertime is my favorite. Large Yellow Jacket nests appear out of seemingly thin air, and homeowners find themselves face to face with a large paper-wrapped stinging insect-filled orb of doom. I like treating for these nests because it’s relatively easy if you have the right equipment, insecticides, and tools. But I like hearing about the failed attempts for the do-it-yourselfer even more. It’s that car wreck mentality I suppose. People like to compare what I do to Billy the Exterminator. When it comes to Yellow Jackets, or Yella Jackets, we have almost nothing in common. 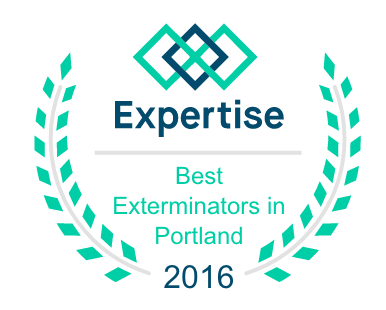 There is a reason why I don’t have a TV show, because the way I go about pest elimination is nice and boring. No one is getting stung, I use ladders instead of getting a “Boost”, I wear a bee suit for protection. Not the kind of thing people want to sit down in front of with an ice cold beverage. Yellow Jacket treatments run from $75-$125 for most residential jobs. Most are $75, especially if I can do it the same day along my route. I usually email the invoice so most customers who call from work will have it treated by the time they get home.